Delta has come a long way since its beginnings as a small crop dusting company, growing into one of the world’s largest global airlines. Though their business model has changed since their early days, one thing has not: the company’s dedication to providing the best customer service in the industry. 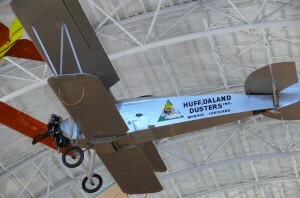 In 1924, a small company called Huff Daland Dusters, Inc., was founded in the little southern town of Macon, Georgia. Boll weevils were devastating cotton crops and the namesake plane, the Huff-Daland Duster — which was owned by Delta Air Corporation — was employed to spread insecticide over the plants. In 1925, fighting the boll weevil was in full force. In 1928, Huff Daland Dusters was bought by Collett E. Woolman and renamed Delta Air Services, a reference to the Mississippi Delta. 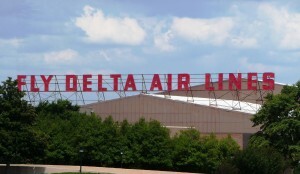 The focus of Delta Air Services shifted as they began carrying commercial passengers in 1929. But these weren’t luxury flights; in order to save money, the same Huff-Daland Duster plane was used, but a seat was put where the pesticide usually was. As Delta Air Lines grew, it moved to the booming Candler Field, now Hartsfield-Jackson Airport, in 1941. As ther fleet grew and business boomed, they began testing out several different logos. Most are indicative of their time, while some reflected different business partnerships. The now-iconic widget logo was adopted in 1959 when the company switched from propeller planes to jets. In the 1970s, Delta expanded internationally, first entering the European market and then offering trans-Pacific flights by the 1980s. Today the airline has hubs all over the globe, including Los Angeles, Amsterdam, Paris and Tokyo. Serving nearly 180 million people a year, the airline now employs about 80,000 people with a fleet of more than 800 aircraft. 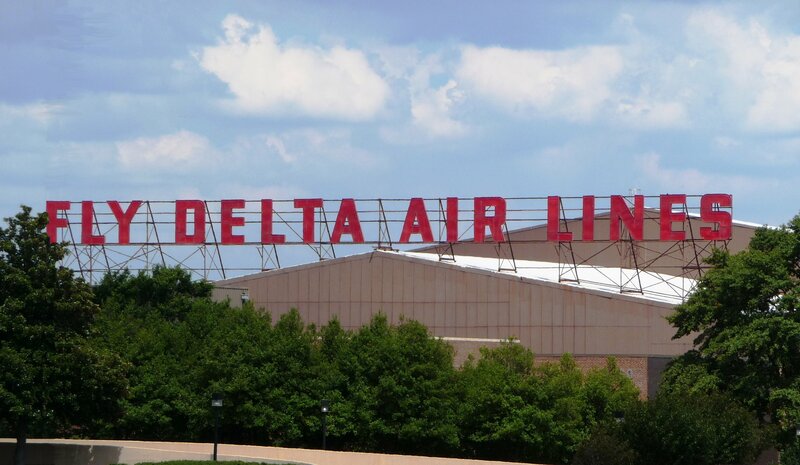 At its inception, Delta Air Lines was dedicated to helping local farmers fight off boll weevils in order to maintain a healthy crop. Not only was this good business, but it was good for the community. They understood that when everyone prospered, the economy grew. This includes those who may be down on their luck and may need a helping hand. Delta still adheres to this principle, though they have expanded their reach to include the entire global community. One way they give back is through a partnership with Habitat for Humanity. In 2016, 66 volunteers went to Mexico to build homes in the Chicxulub neighborhood of Mérida, Mexico. 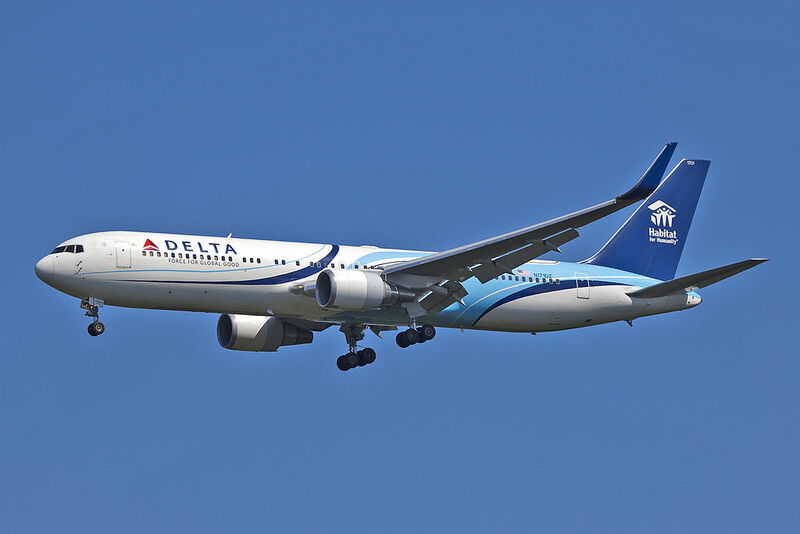 The Delta team got their customers involved, too, holding a “SkyMiles auction” in which frequent fliers could bid with their accumulated miles to join the team in Mexico. To date they have helped build or rehab 227 Habitat for Humanity homes in 12 countries around the world. This is just one of the many ways Delta lives out their dedication to building a better world. Also that year, pantyhose were first introduced, as was the iconic 1959 Cadillac.